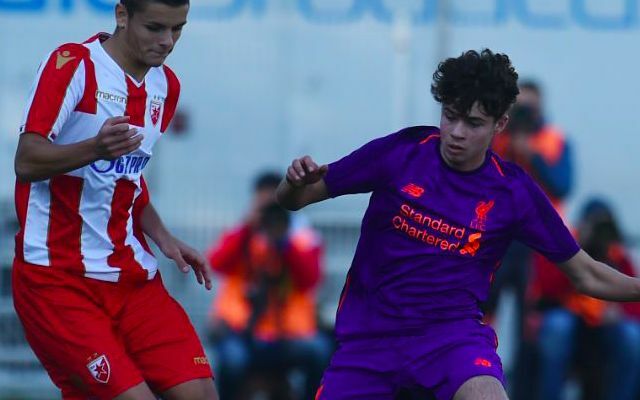 Liverpool have rewarded Neco Williams with his first professional contract in yet another case of the club securing one of its brightest prospects. The 17-year-old has been with the club since U9 level, plying his trade as a winger early on before being polished into an attacking right-back. Williams made his U18s debut during the 2016/2017 campaign, managing 12 appearances in the U18 Premier League, six of which arrived in the division’s Final Stage. His form was somewhat hindered the following season when a back injury saw him miss the young Reds’ opening 11 league games. Upon returning to action, he received high praise from then-manager Steven Gerrard as well as later earning four 90 minute outings for the U23s between February and the end of April in 2018. He has already managed 19 appearances across all competitions this term, including eight for Neil Critchley’s side in the Premier League 2. Williams himself took to social media on Tuesday to announce his new deal. Liverpool’s commitment to him marks a deserved reward for his fine form over the last couple of years and once again underlines the level of talent within the club’s youth ranks. Rarely have the Reds boasted such depth beneath the senior setup, with Academy Director Alex Inglethorpe having done an excellent job in recent years to re-configure the approach to youth recruitment and development. The success of Trent Alexander-Arnold continues to serve as a beacon of optimism that first team opportunities are there for those prepared to work for them.